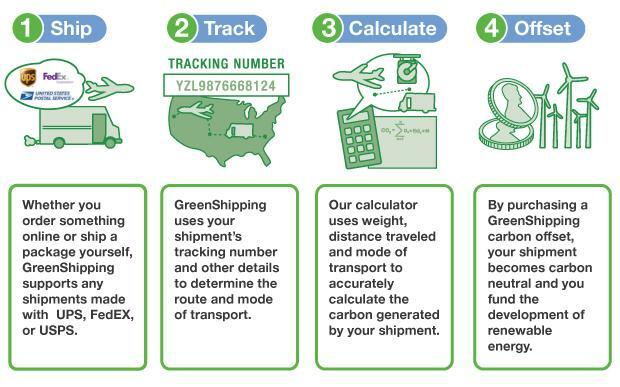 This service will calculate the impact of your shipment (using the tracking number) and for just pennies per package will make an investment in renewable energy to offset that impact. This entry was posted in Uncategorized by Moseley Richmond. Bookmark the permalink.